Congratulations scholars, you have now officially become a member of an elite group of leaders who have helped to transform the socio-economic fabric of the Jamaican community. 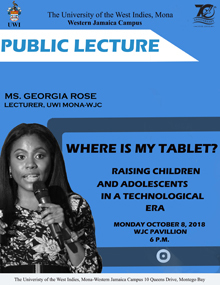 As new students of the University of the West Indies (UWI) you now attend the same alma mater of some of the Caribbean’s greatest leaders, pioneering entrepreneurs and ground breaking researchers and innovators who enjoyed their first foray into critical academic thought on the grounds of the UWI, Mona. 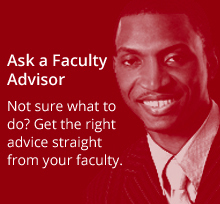 As your Principal, I am pleased that you have entrusted this fine institution with your future, and I pledge that you will receive nothing less than a first-class teaching and learning experience during your sojourn at our ground breaking University. Attending the Western Jamaica Campus (WJC) will expose you to a diverse, technologically advanced and multi-cultural learning environment. Its resort-like atmosphere and exemplary undergraduate and postgraduate programmes will allow you to achieve the highest quality tertiary education this region has to offer. Our outstanding lecturers are some of the finest researchers in their field and their decades long collective teaching and research experience will ensure that you will have an in-depth, diverse and holistic learning experience over the next 3-4 years. UWI graduates are the most sought after employees by some of the region’s leading businesses. In this vein, our teaching and learning framework is committed to providing a sound knowledge base, skills and practical experience that will help you, our valued students, to become future trailblazers in your field. 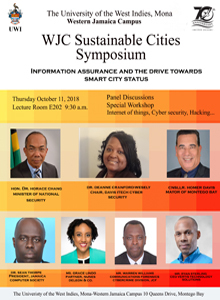 Over the next few years the WJC will be undertaking several infrastructural development projects that are guided by our mission to enhance your learning experience. We will be expanding our campus and upgrading our facilities - a process that will place the UWI on par with other international higher education institutions. In the interim, it is our hope that the beautiful surroundings and tranquil atmosphere of the WJC will make your studies at the University memorable and life changing. As your university, the UWI hopes that under our tutelage you will become the future that Jamaica needs to secure sustained economic, developmental and social success. 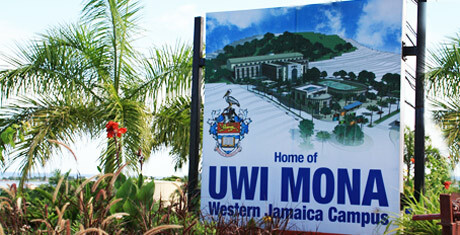 Welcome to the Western Jamaica Campus of the UWI, Mona. I wish you the greatest success on your path to academic achievement.